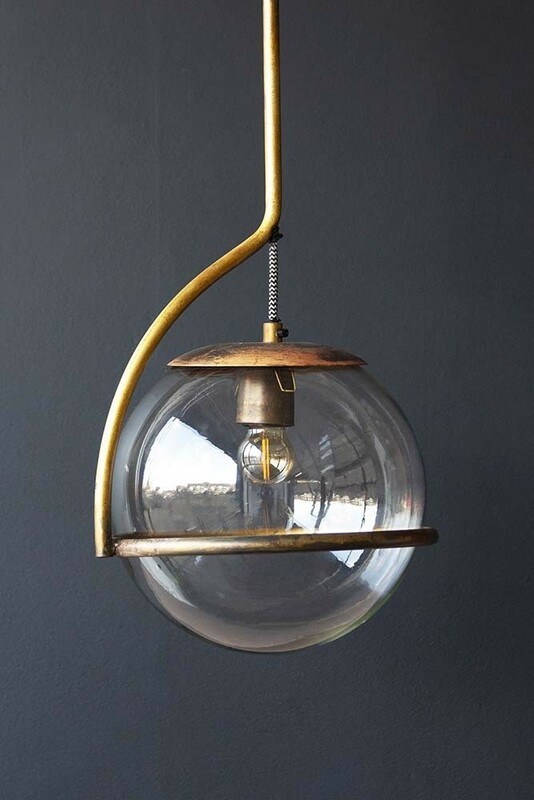 A unique and statement lighting feature, you will love the Glass Globe Ceiling Light for years to come. 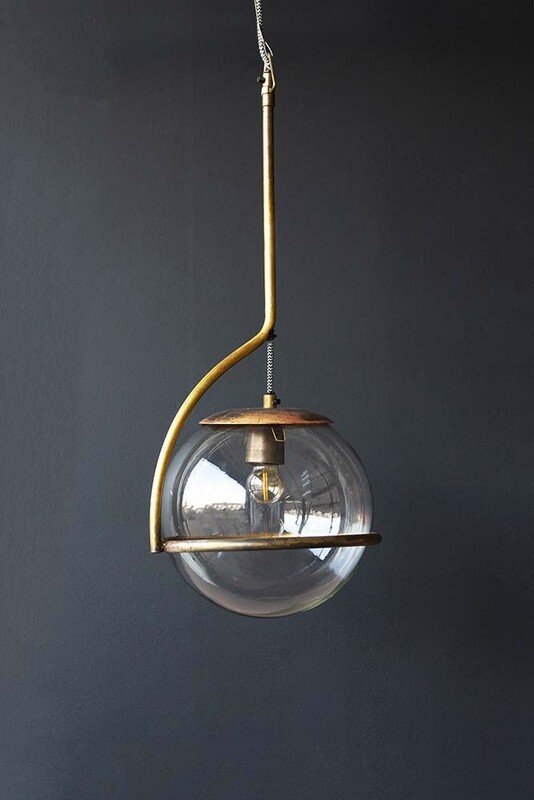 Featuring a glass globe with brass effect band and flex and fitting the Glass Globe Ceiling Light measures L28cm x W27cm x H52cm. 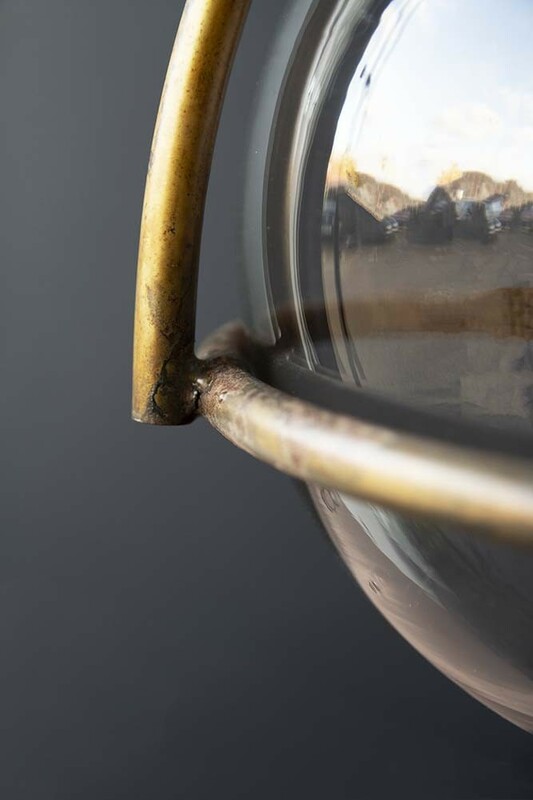 The brass effect frame is made from iron. 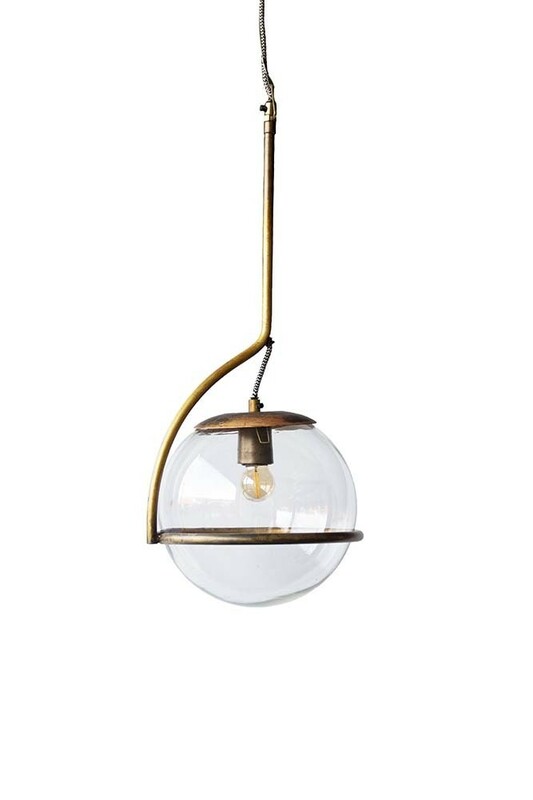 Really unique the Glass Globe Ceiling Light is a beautiful light feature that will add elegance and sophistication to your living rooms, kitchens, bedrooms and hallways. Alternatively, you could style this unique ceiling light over your statement armchair or on either side of your bed. Either way, it’s guaranteed to add sophistication to your interiors in an instant.